The Italian electro house and dance music project The Bloody Beetroots have been producing since early 2006. 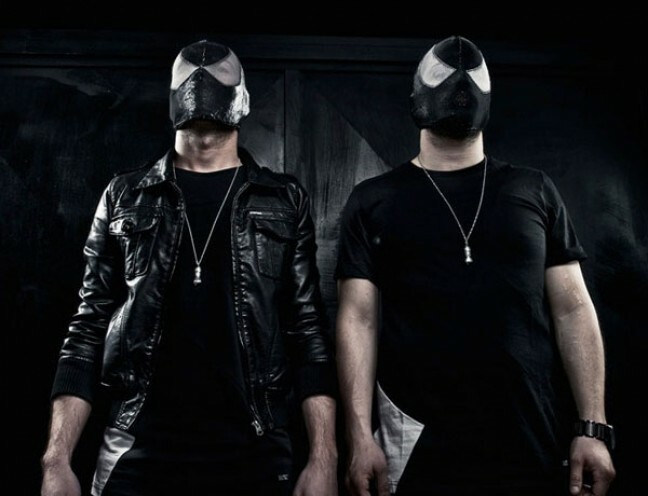 The DJ Set of the Bloody Beetroots has been on tour only once, alongside Steve Aoki in early 2008, and is made up of Sir Bob Cornelius Rifo and Tommy Tea. It is one of the most crazy and mental live productions I have ever witnessed and their reputation for these sets is growing. Their music is made unique by the metal influence in some of their productions. I am not interested in metal in anyway but these guys combining it with an electro house foundation seem to have found just the right amount of crazy! Have a listen! 0 Respones to "THROWBACK: Bloody Beetroots "